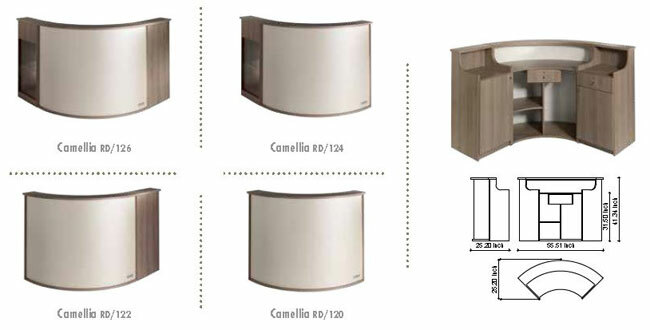 Camellia reception desk distinguishes itself thanks to the curved shape of the stylish melamine structure available in three colors (Truffle Maple, Prestige Maple, Caramel Maple) Glossy white & black at an up charge , with this distinct design offering a soft style, while at the same time the materials create a sense of strength and durability. 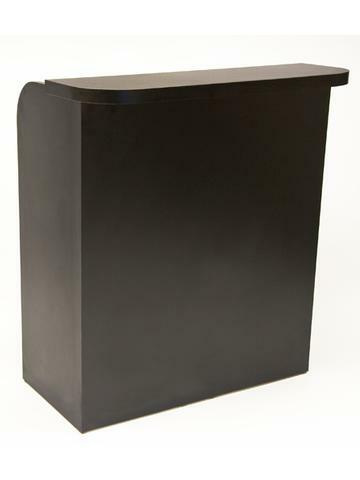 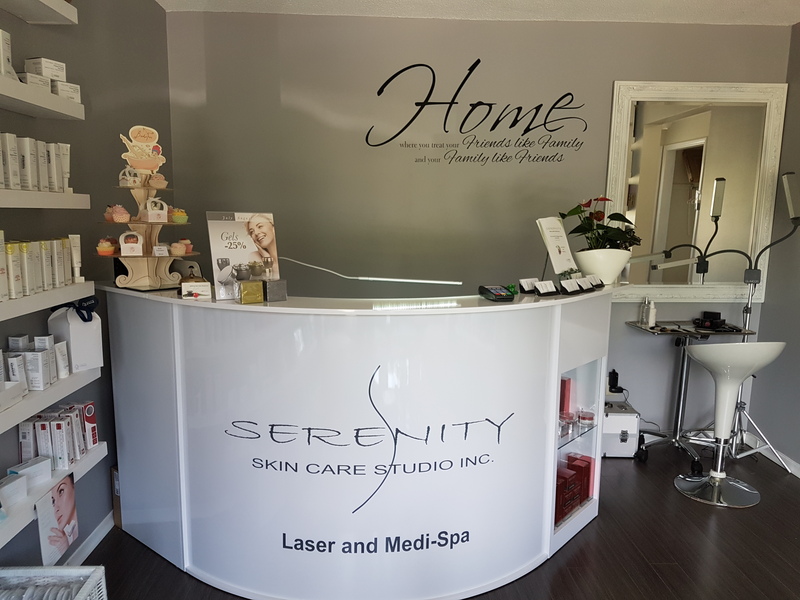 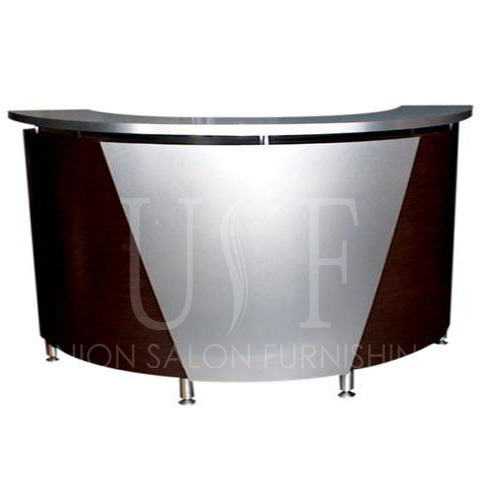 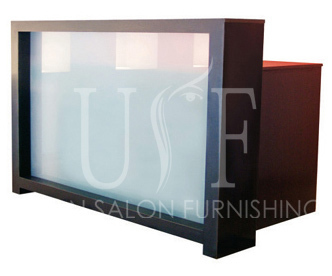 This reception desk certainly attracts attention, making the form completely suited to many different salon styles. 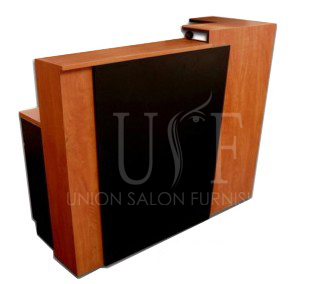 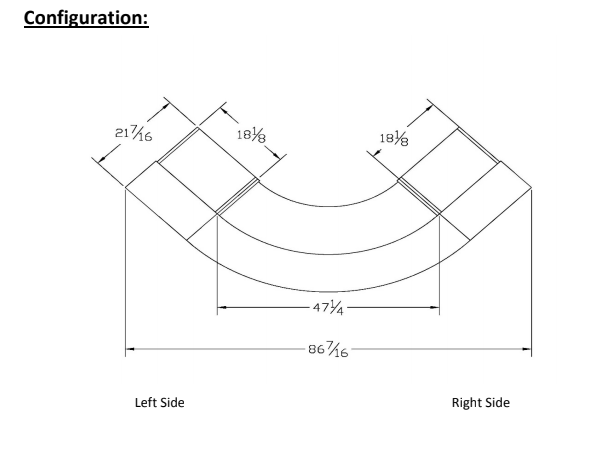 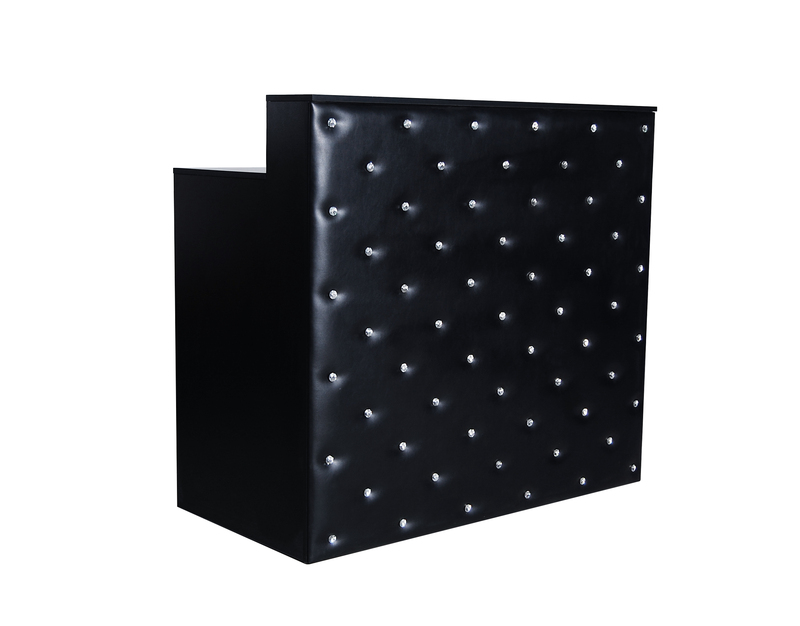 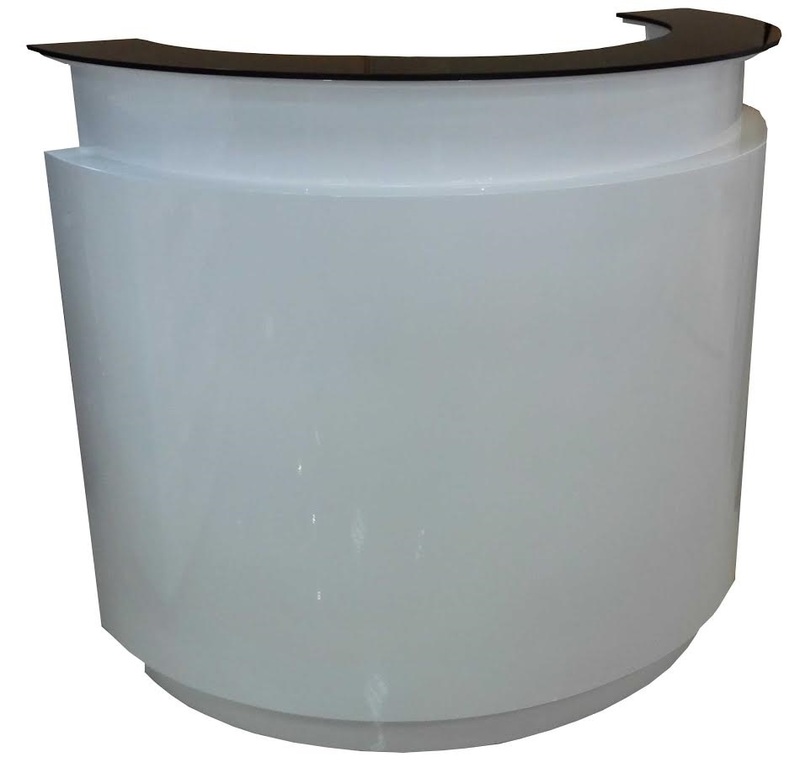 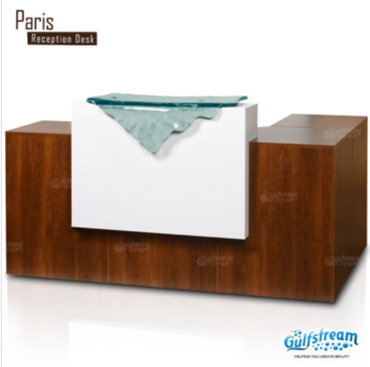 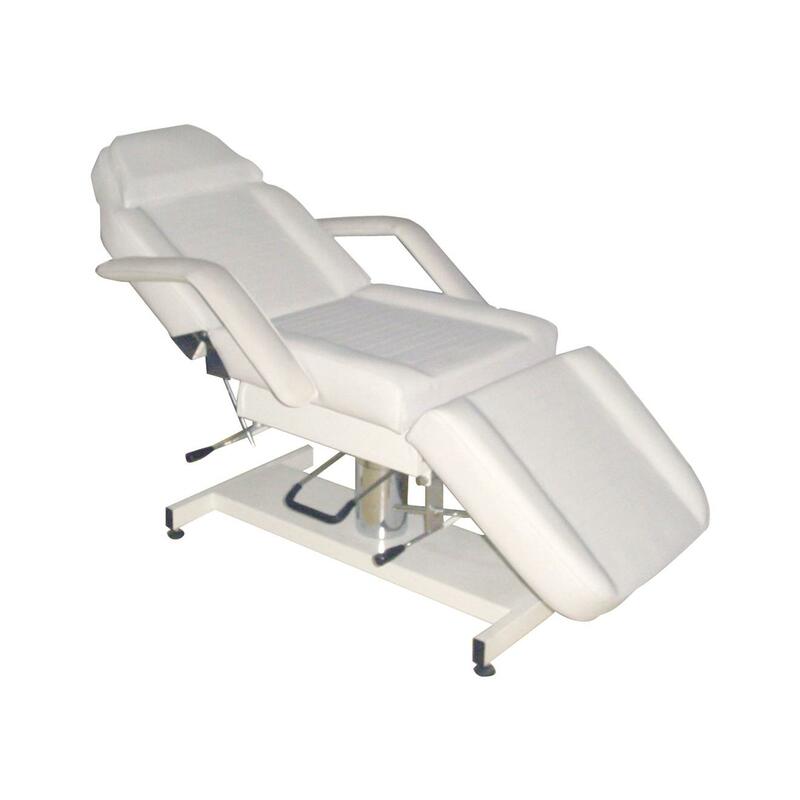 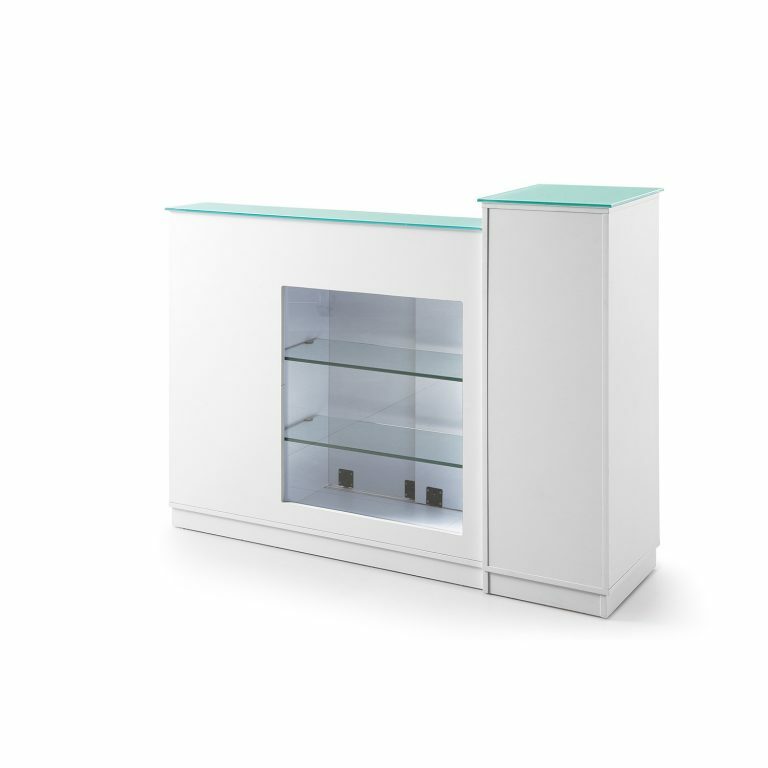 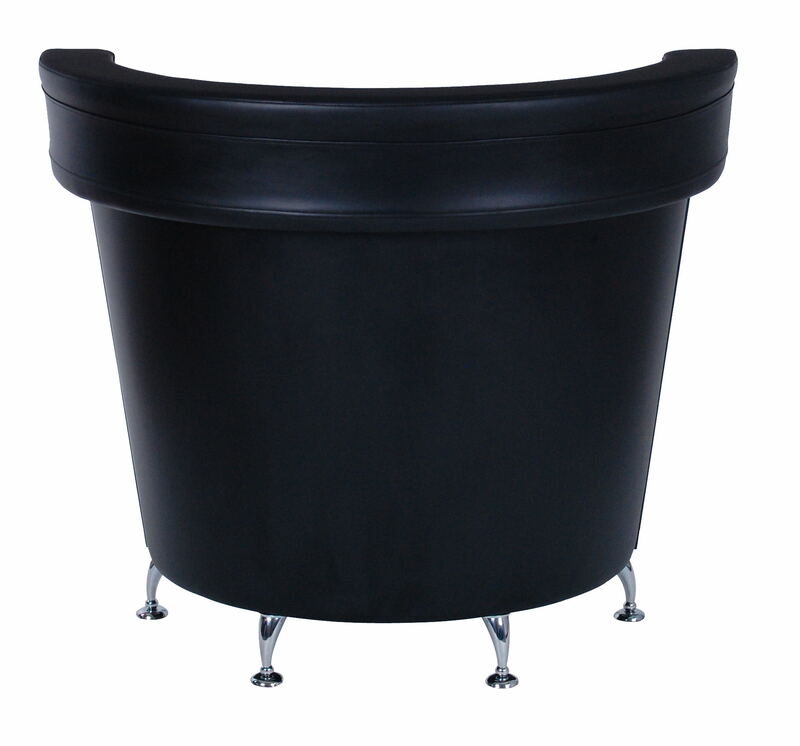 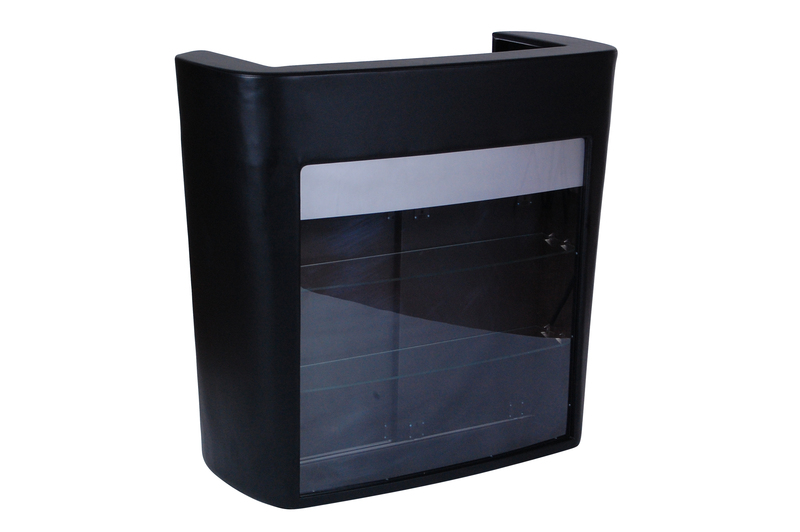 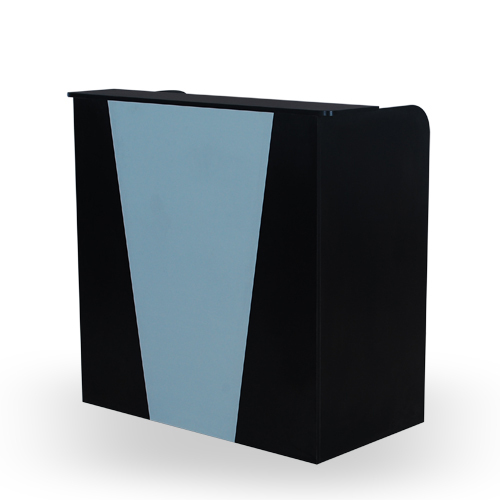 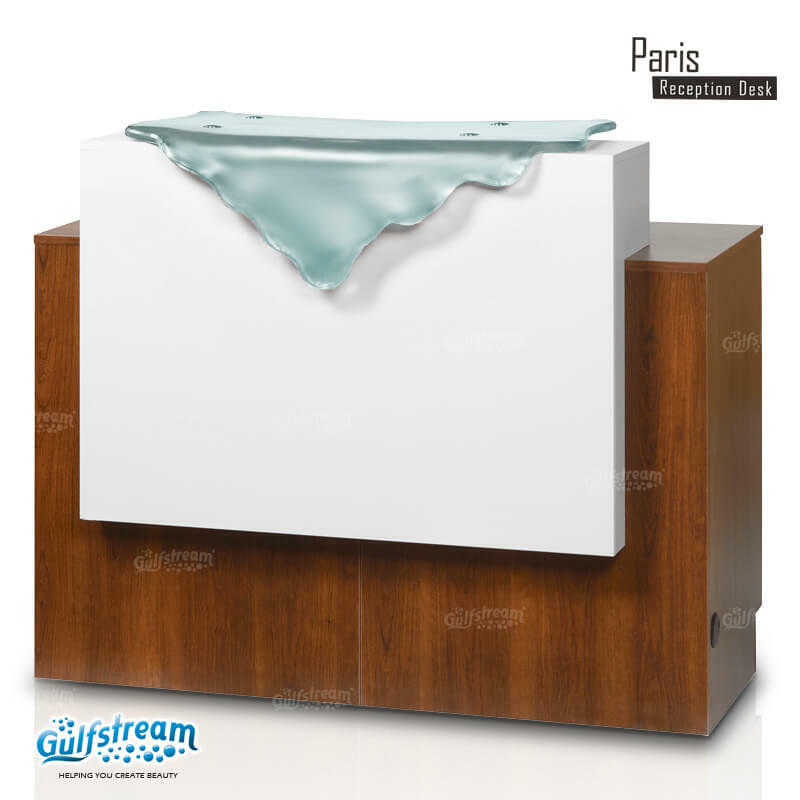 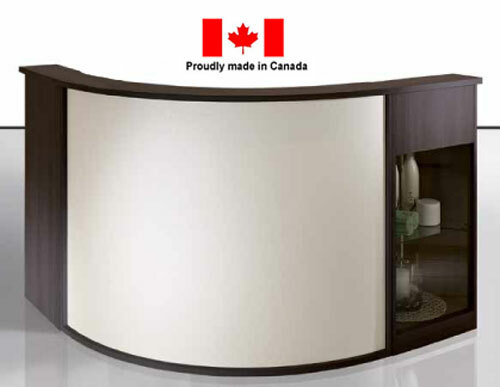 The Form is available in four different versions; reception desk, reception desk with side storage cabinet, reception desk with side display cabinet, and reception desk with both side storage and side display cabinets.